In these times that cry out for regeneration and renewal, it is tragic that the organic label is being conferred upon fruits and vegetables grown hydroponically. Hydroponics is not sustainable.It is an affront to any concept of ecology.It is symptomatic of an agricultural that has become heavily mechanized and estranged from life. The organic label offers assurance against pesticides, chemical fertilizers and GMO’s. It’s of no help as to whether a fruit or vegetable has been grown in the soil or in chemical soup. We present here a video in which we discuss these issues. We dare say that this is vital to every American and we urge you to share it with family and friends. 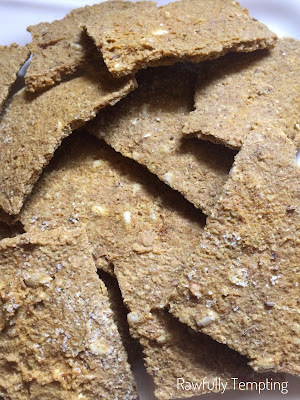 I truly adore these light, crisp crackers with a nut or seed pate or humus. Growing up Jewish in “Joisey,” I was raised on, and loved a really good Jewish Rye. The ground fennel seeds in this recipe work their magic, providing a tone so very reminiscent of this bread….and now…no gluten or processed junk to worry about. Lentils and buckwheat are easy to sprout in a Mason jar, using sprouting lids. Click HERE for directions on sprouting buckwheat. Lentils take a bit longer, but don’t need to be dehydrated. Sprinkle with black or blonde sesame seeds and ground fennel seeds. (or use poppy, minced onion, ground garlic, etc). 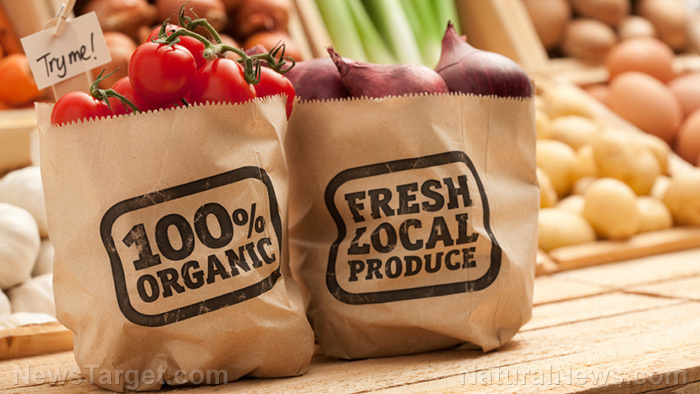 (Natural News) Americans are voting with their wallets as the market for organic food continues to skyrocket. Conventional food and produce teeming with toxins are quickly losing their appeal as more dangers of GMOs and pesticides come to light, and consumers are increasingly spending their money on organic products and even growing their own food when they can’t find a trustworthy source in their area. (Mercola) At a time when half the population in the U.S. is struggling with chronic illness and life expectancy is on the decline, the idea of living to 100 may seem like a pipedream to most. Yet, in many other areas, life expectancy is actually rising, and centenarians are far more commonplace than you might imagine.